Kaplan is among the largest and most diverse education organizations in Hong Kong with over 10,000 students and 50 corporate clients annually. Wen presides over strategy, growth and innovation across all Hong Kong business units, ranging from bespoke corporate training, financial and accountancy training, higher education degree programs and overseas university admission test preparations. Prior to joining Kaplan, Wen gained significant experience in sales, marketing and management from top-tier global firms. During her time at IBM she managed multi-million US dollar product lines and was responsible for consistent annual growth of her portfolio. Her last employer before Kaplan was The Parthenon Group, now a division of Ernest & Young, and a de-facto world leader in Education Strategy Advisory. During her time, Wen worked throughout Asia with over 20 of the largest and most successful investors and providers in global Education. Wen holds a BA and MA (Oxon.) degree in Mathematics and Computation from Oxford University. Dickson Ma is the Vice President of Kaplan Hong Kong, Kaplan’s Pathway and Language businesses in Asia. He oversees all of Kaplan’s financial operations, including accounting, financial reporting and analysis, internal audit and procurement, in Asian hubs including China, Hong Kong, Korea, Vietnam, etc. Prior to joining Kaplan, Dickson was holding financial controllership role in Dell Japan. He spent 7 years in Japan before moving back to Hong Kong. He is a qualified accountant with a professional practice background and more than a decade of experience in leading the finance function of multinational companies. 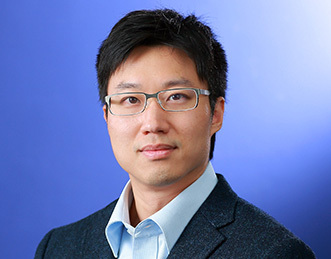 He holds both the CFA and CPA designations, and earned his M.B.A. and Master of Science in Investment Management from the Hong Kong University of Science and Technology (HKUST). 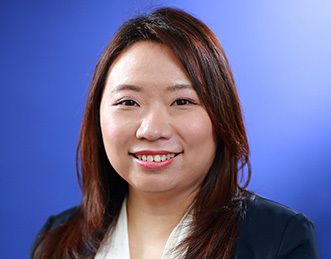 Rebecca Lui provides centralized oversight for the service departments of Kaplan Hong Kong including IT, Operations and Customer Service, as well as heading the business operations of two main divisions: Kaplan Higher Education and Kaplan Test Prep & Admissions. Possessing two decades' experience in the continuing and higher education sector, she has been instrumental in business development, recruitment/admissions, programme management, customer service, programme accreditation and school networking. Rebecca is also supervising the Kaplan Business & Accountancy School, a non-profit institution in Hong Kong. Prior to her current roles, Rebecca held various positions within the company. Since joining Kaplan Higher Education in 2001, she first served as the Deputy Manager of Programme Management; then further given the opportunities to work in other business units to better support its business development and operation. 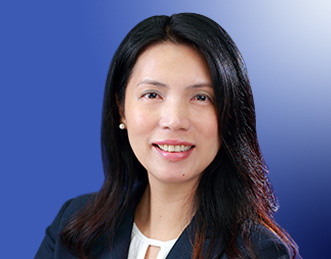 She is acquainted with the knowledge of the registration of non-local programmes and the accreditation of local programmes (Qualification Framework) in Hong Kong and its related regulations and has substantial experience in the liaison with senior management of institutions, government and related bodies. Rebecca holds a B.A. (Hons) in English Studies from The University of Hong Kong. She received a Master of Education from University of Bristol. Taky Lo is the Director of Accountancy in Kaplan Financial, responsible for managing the business of provision of professional accountancy exam trainings in Hong Kong, including Qualification Programme (QP) launched by the HKICPA, ACCA, CPA Australia, CIMA and CTA, as well as the accredited Conversion Programme (CP). 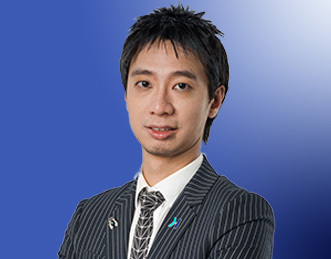 In addition to his current role, Taky serves as the Head of Tutors to maintain the teaching quality of the lecture team. He is also active in lecturing QP auditing for Big 4 clients and public students. Before joining Kaplan, Taky has over 7 years of experience in advising clients on the latest development on financial reporting and auditing standards. He was a team leader in one of the Big 4 accounting firms in Hong Kong and was responsible for planning the engagements and supervising the annual results reporting processes for various listed companies in Hong Kong. Taky has vast experience in developing illustrative financial statements for internal usage of small to medium-sized CPA firms based on latest Hong Kong Financial Reporting Standards or other applicable reporting frameworks. Taky graduated in The Hong Kong Polytechnic University and has become a CPA in Hong Kong since 2006. He obtained his Master of Science in Accountancy and Finance in Birmingham City University in 2016. Janet Sin oversees the business operations of Kaplan Financial, Financial Markets division, which delivers preparatory courses to more than 5,000 students and business executives wishing to take professional qualifications in banking and finance designations. Janet runs a team of 60 consultants and programme coordinators, responsible for learning advisory support, curriculum development, programme management, teaching and learning technologies, client relationship management in exam prep of CFA, FRM, CAIA and LE in Hong Kong and South China. Janet has more than 10 years of experience in education management with an interest in upskilling individuals and organizations. With a broad knowledge of learning interventions, Janet tailors learning and development solutions for major clients, including top tier financial institutions, retailers, property developers, law firms, universities and government departments. Having first joined Kaplan in 2010 after working in a top CPA firm, Janet served as Business Manager of Financial Markets and was promoted to the current role in 2016. She earned two times the Kaplan Innovation Award and was selected as one of the 190 finalists out of 900 global nominations in the Kaplan Way Leadership Award in 2015. Janet holds a bachelor degree in commerce (accounting) from the University of Calgary, Canada. She is well aware of the importance of technical knowledge, internal control and operational efficiencies. Outside of her professional career, Janet serves on the board of a local charitable organization and has volunteered in two community missions in Cambodia and Thailand. 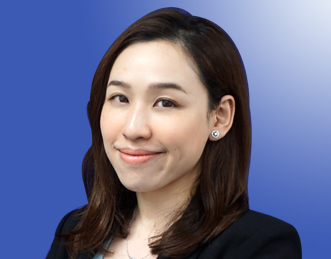 Ada Lee is the Director of Corporate Accounts for Kaplan Hong Kong, responsible for the professional training and development of corporate clients in Hong Kong. She also works closely with counterparts in other Kaplan offices such as Singapore, Australia, the UK and the US on business development and managing regional and global corporate accounts and projects. Ada has more than 18 years of direct relevant experience in the areas of professional education and training, corporate advisory, key account management, and management of diversified training and consulting projects in Mainland China and Hong Kong. Ada earned a Bachelor of Social Science in Government and Public Administration from The Chinese University of Hong Kong and an MSc in Training and Performance Management from University of Leicester, UK. 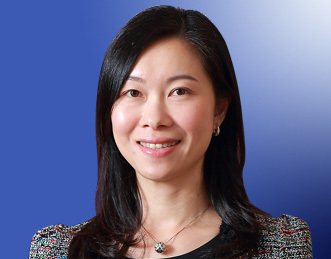 Rowena Li is the Director of Business Development for Kaplan Hong Kong, responsible for the strategy and development of the corporate training business in Hong Kong. She has over 10 years of experience in the education and training industry, working with key decision makers, KPI drivers and strategic clients in developing highly complex and customized learning solutions across the Asia Pacific. Rowena has an extensive track record in advising many of the world's leading multinational companies, banking institutions, financial services organizations, law firms and energy companies. Her extensive experience has driven significant growth in the Asia Pacific in her previous roles. Rowena holds a Bachelor of Marketing & Advertising degree from Curtin University of Technology.